6 vendors have this plant for sale.47 members have or want this plant for trade. One of my all time favorite plants. Yes, it sends out suckers, and it can flop. But, when in bloom, some of the bloom clusters will have matured to huge balls of white, and some are still tight and green, and some are light chartreuse. A beautiful sight. Blooms on new wood. I cut mine back to about 14 inches tall in the late fall. And every couple of years I dig out a few suckers. Not too much trouble for such a happy, happy grower. It is planted in dappled shade the vicinity of a few itea (sweet spire) and they are nice companions. Amazing flowers.I really love smooth hydrangea. This is an all-time favorite!! These stunning plants are show-stoppers up close or from a distance. They sucker but are not invasive. The suckering is very, very easily handled by root pruning with a shovel each spring to maintain the size you desire. I've taken roots and little sucker plants and poked them in here and there around my sizable gardens and they light up the area where ever they are. I live in a wet state so for the flopping issue I surround the plants in the spring with a cheap, decorative wire fencing. as they grow they fill in and hide the fencing in no time and receive all the support they need. I've shared this lovely plant with family and friends with all variety of soil conditions and they are all thriving beautifully. My temps. close to the mountains reach 100... read more* and in the winter can go as low as 5*. My soil is sandy-loam. I'm good about watering but not fanatical and don't stress if things go dry for a couple of days.. I cut my plants to the ground each spring and enjoy enormous (12 - 18 inch) blooms. Nice for dried flowers. Has a tendency to flop, so I'm trying a different pruning style to see if that helps ... instead of cutting far back, leaving about a foot of old stem. Blooms June-August in my garden. A suckering plant. Gets wider by the year. If I don't hack it to the ground each fall, it would be too large. Annabelle is one of my favourite hydrangeas in the garden. Very hardy to all types of weather and seems to have tolerated being moved around several times as I work out my gardens. Such a beautiful plant. 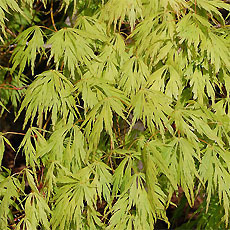 Great plant, but needs to be cut down each fall or late winter because it blooms on new wood. When the crown gets too big, it migrates to places you don't want it, or if you want to divide it - a sawzall (with Ax blade) is an awesome tool to take off chunks or side shoots. Very hardy, always comes back. Just be sure you know where your utility lines are and call Digger's hotline...! I love this plant. Not only does it consistently bloom in my east-facing corner of the garden underneath a water spout, it also also dries well and propagates easily from early spring cuttings. You can make lots of cuttings from pruning the plant to give as gifts. Not for trade at this time. Beautiful 1 year old plant with lots of blooms. But blooms are green??? for some unknown reason. I wanted big white ones. I wish I could correct this. Ordered annabelle from mail order plant catalog, I received it as a little switch, planted it in a pot and for 2 years did not show much in growing, but this summer it is a show piece, has about 50 blooms on it and we have had more rain this year than last, but it is beautiful. I stand out at night and it just looks like the ghost. It is planted in a large pot and I keep it moist. I love it. I have 5 of these along the North side of my garage and wish I had more. I hard-pruned 3 of them for the first time last fall and am glad to read others have had good luck doing this. If all goes well, I'll prune the other 2 this year. I agree the flowers are heavy so this year I'll support those I pruned last Fall. I seldom water these. Mulching in my area (Iowa) seems to be enough. I planted my Annabelle Hydrangea 3 years back. They were so little when delivered as I ordered them from a catalogue. Both of them died, then I got a replacement. 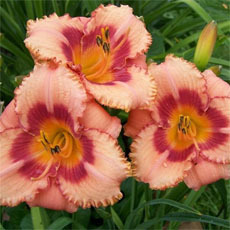 The first year it gave me few flowers, the following year, I got more and bigger blooms. I didn't cut them back because I read it somewhere that it will strenghten the stem. One thing for sure about this hydrangea, IT IS VERY RELIABLE!!! I have different kinds of hydrangeas, including the endless summer, which I think is overrated. I love Annabelle Hydrangea that I decided to plant some of them in front of my house which has a lot of shade because of the huge tree. The only negative I can say about this hydrangea, it really has big blooms that they flop when it rains. Will do well in woodland shade. I have them bloom like crazy under 2 balsam fir. Also leave the flower heads for winter interest. About 5 yrs ago a friend invited me to come to his newly purchased house and dig some of the Annabelles that were speading too far into the yard. I ended up with about 10 little sticks & barely ant roots. I didn't think they would live but planted them along the fence under a maple tree to see what they would do. He said all I had to do was cut them down in the fall. That is all I have done & by the second year they were huge. They completely cover a 12 ft section of my 4 ft high wood fence from sight. Huge blooms every year. Almost no care at all. I highly recomend them! 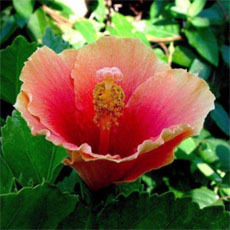 I have noticed that others in the neighborhood that do not cut them down do not get flower heads nearly as big as mine. Maybe 1/2 the size. If you have the chance! Plant one! Great hydrangea... undemanding and reliable. 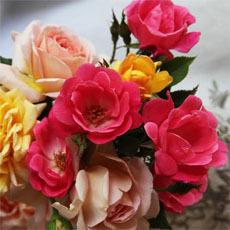 Easy to grow and beautiful flowwers. I love this plant! It does well in dry neglected shade. I wouldnt trade it for the world. My neighbor has one and he hasnt watered or done anything to it for a year and it still flowers! 2006 has been without doubt the best year for my hedge of Annabelles. It's the first year I cut them back in early Spring to 9 inches, fertilized, and then cheered as we got more rain than usual. Result was less flopping and many blooms. I still have a few new blooms -- in August. This row of beauties gets rave reviews. It's under shade trees, but gets a bit of slanting sun in the afternoon. Heavenly. I have 2 areas in my yard with Annabelle. The North side of the house has 2 VERY LARGE Annabelle trees that I need to trim back in the fall. It's obvious that they don't do as well as my "solo" Annabelle in the front island which faces East. For the past week or so, the gorgeous white mounds of flowers are turning an interesting green color...which is the color they started out at. I'm trying some 'gound layering' for friends of mine. I'm apprehensive to cut mine back, as the 2 on the North side are about 5 feet tall and the East Annabelle is about 3 feet tall. I'll defintely trim back my biggies on the East side of my house. Any advice regarding the surgery would be appreciated. I've had Annabelle for four years now, and wouldn't trade her! She is full and lush by early June in my zone. She's loaded with 6-7inch blooms each year,which I leave on through the winter, for interest. 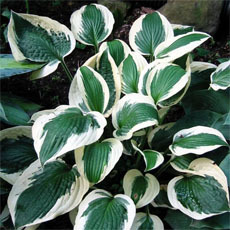 She is planted in full shade on the east side of my home, in a heavily mulched bed. She is prone to wilting if she gets too dry, but generally, I only deep soak once a week. I cut her back to about 5 inches in early March. My soil is alkaline. I apply slow release granular 10-10-10 fertilizer around the plant at first sign of growth in spring. She's a truly wonderful addition to my shade garden. Annabelle IS pretty but she is a water hog! My 2 plants might get ripped out this Fall due to our continuing drought conditions. Love this plant. Two years ago I had 14" flowers. Last year, very hot and very dry, the flowers were much smaller and fewer. Mine is growing under the shade of a flowering Crabapple tree. I love to cut the flowers when they turn green, put them in a vase with no water and just let them dry.They dry beautifully and contain their green color. I have some that I dried two years ago that still look nice. This hydrangea is a beauty. It adds such a nice bright touch to the shade garden. I love using Annabelle hydrangea in dried arrangements and several years ago purchased 5 plants to use for drying. They were all planted at the top of one of my gardens where I thought they would be happy (shady afternoon; morning, evening sun - and I thought, plenty of water but well drained). One of the bushes is blooming beautifully - the one furthest down into the garden itself where moisture is more plentiful. The rest seem to not be blooming true - although one is trying - half and half. What I am getting on the other 3 is a more fuzzy flattened bloom with flower petals mostly around the edges that looks like the "Dardom" variety, although all still have the grower tags, which say they are Annabelle. I have moved one to a location with more moisture, and plan to mo... read moreve at least one more next spring to see if a location with more moisture improves the bloom. If anyone else has had this experience, please let me know your experiences and if you've tried something that worked. My Annabelle grows here in Massachusetts in part shade and requires very little care. The shrub is covered with large, beautiful blooms this summer in contrast to the blue hydrangeas which suffered from the severe winter and did not bloom. Only after a very heavy rain does the weight of the flowers cause it to droop. Makes a great cut flower! My "Annabelle" grows in shade in competition with maple and poplar tree roots and manages to flower consistantly and well. I garden in the Annapolis Valley in Nova Scotia and my garden soil is quite acidic. I have to admit to having never pruned this particular hydrangea other than to remove the dried flower heads in the late fall. I find it to be a low maintenance, undemanding and lovely plant. The Annabelle Hydrangea at International Friendship Gardens in Michigan City, IN have received little care or attention for many years, and they are still thriving! 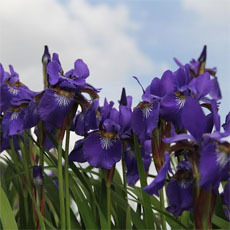 Some were even planted in a full sun site which received little water; however, the flowers were never very large. I recently moved the bunch that was in the sun to a shady hill side which was loaded with unsightly weeds. They readily adapted to their new environment. The only thing I don't like about the plant is the way some of the lower branches droop over when the flowerheads are large. I don't cut mine back until mid winter or early spring because I like to leave them up for Fall interest. This plant is an old standby in our area of small town Ontario. This summer though, three of our six bushes did not bloom. They did last year quite successfully. The only thing I have noted is that the bushes that did not bloom have lighter coloured leaves than those that did. "vomiting, depression, anorexia, diarrhea, increase in heartrate, increase in body temperature." 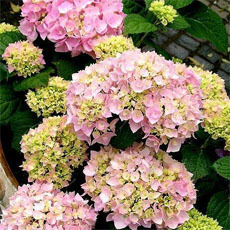 'Annabelle' accepts almost any soil type, even moderately alkaline soil without sulking as many hydrangeas do. 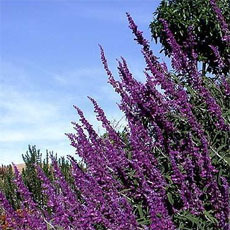 The flower heads are the largest of any, and persist long into autumn. I have had success with the plant, but it is not an easy plant. The flower heads can be very large and may bend due to rain or wind. It likes a ton of water, but not wet all day. A deep morning watering is best. Without a huge amount of water, the flower won't look nice. It likes rich soil. 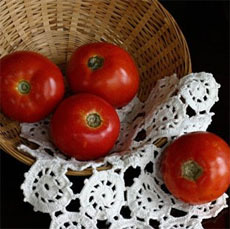 It is also prone to damage from insecticide, but fortunately does not get many pest. You can prune it back at any time however, it not like macrophyalla, which flowers on old wood. It flowers on new wood. I cut mine back every fall.